Do you want to see what the weekly live stream is like? Hello, you beautiful, perfect, infinite being, full of infinite energy! Would you like to spend time every week with Rikka? Would you like to connect to a community of like-minded peers who are committed to living in Oneness, expanding Consciousness, and restoring their natural state of Bliss, Joy and Ecstasy? You (yes, YOU!) 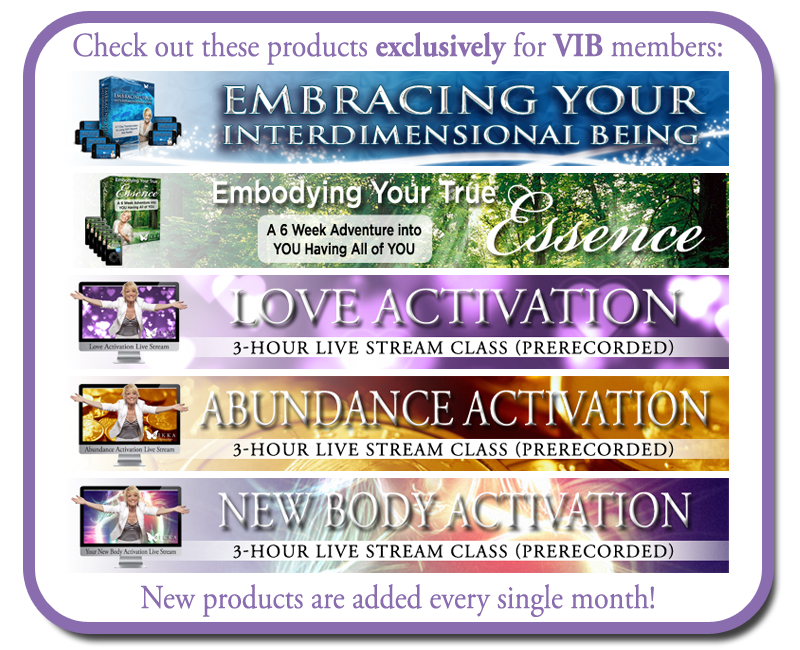 are invited to join Rikka in the Adventure in Oneness™ membership site, where every week you can open even more to infinite possibilities and infinite choice to be anything in any moment! Oh, yeah… and have a blast doing it! Interact personally with Rikka, LIVE, and in person! Receive regular energetic contributions that raise your vibration and release all limitations. Tap In to a higher level of vibration that transports you into a blissful, expanded awareness of Oneness. Amazing Community. Participate in live conversations with the most amazing community of conscious beings on the planet, any time you wish. Connect with like-minded peers who can serve as your cheerleaders of consciousness! An exclusive 10% savings on ALL Rikka’s classes and products (excluding new Telesummit packages). 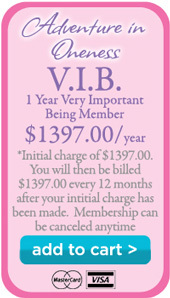 Special events just for VIB members.